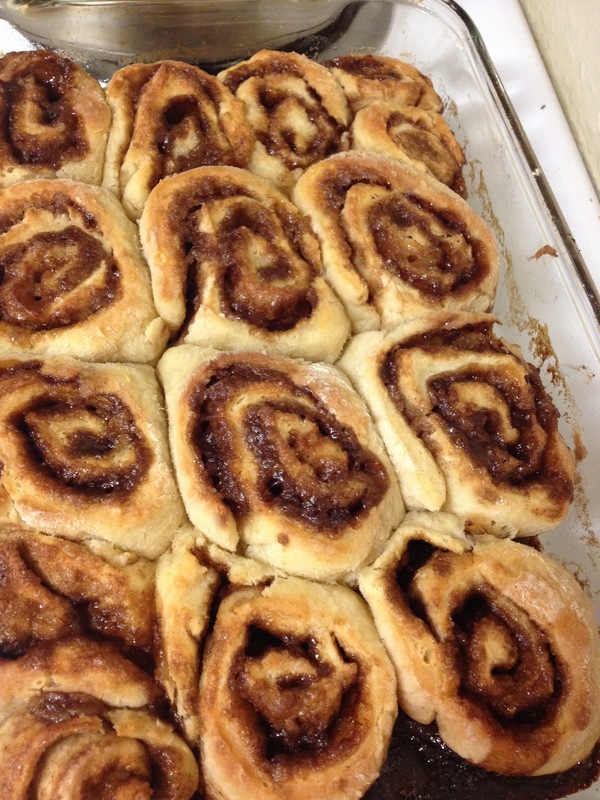 Cinnamon rolls are one of my favorite breakfast foods…you just can’t go wrong! And although there is something magical about that yeasty flavor that can’t be replaced, these quick sticky buns will manage to do the trick, I think. Salted caramel: Round 3. Heat 1/4 cup granulated sugar along with 3 Tbsp butter in a saucepan over medium heat. 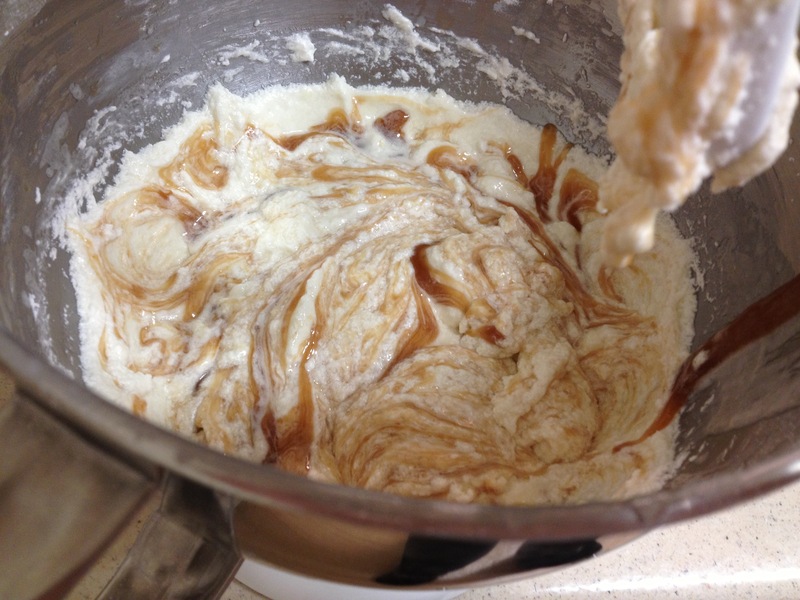 When the mixture begins to melt, swirl until a golden brown color develops. Remove from heat and pour onto a piece of buttered parchment paper. Allow to cool completely. 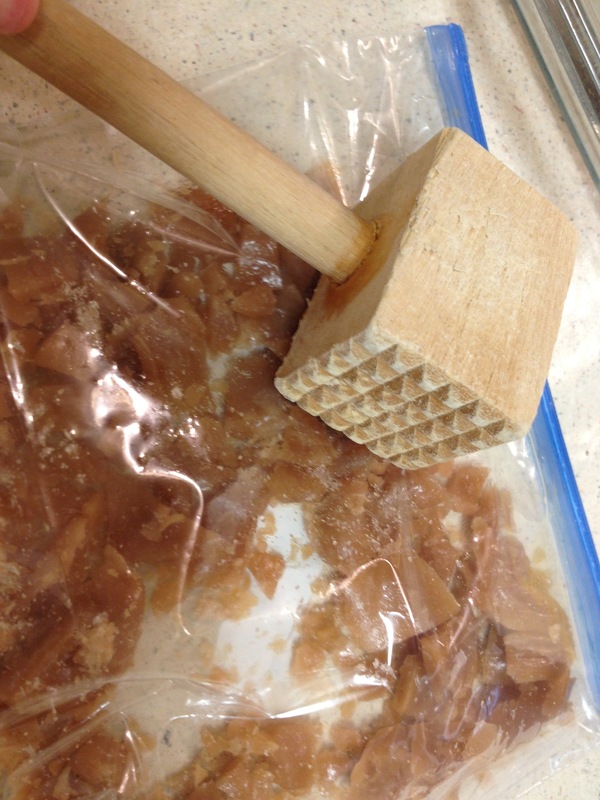 Place the cooled caramel in a zipper locked bag and crush into small pieces. Combine the topping ingredients in a small bowl, stir with a fork until the butter is incorporated and the mixture looks like course sand. Mix in the caramel pieces. Set aside. Whisk the flour, baking soda, baking powder and salt in a small bowl. Whisk the buttermilk and 2 Tbsp melted butter together; add to flour mixture, mixing lightly with a wooden spoon until mixture is absorbed. Turn the shaggy dough out onto a lightly floured surface. Knead a few times until the dough comes together. Roll into a 9X12 rectangle. 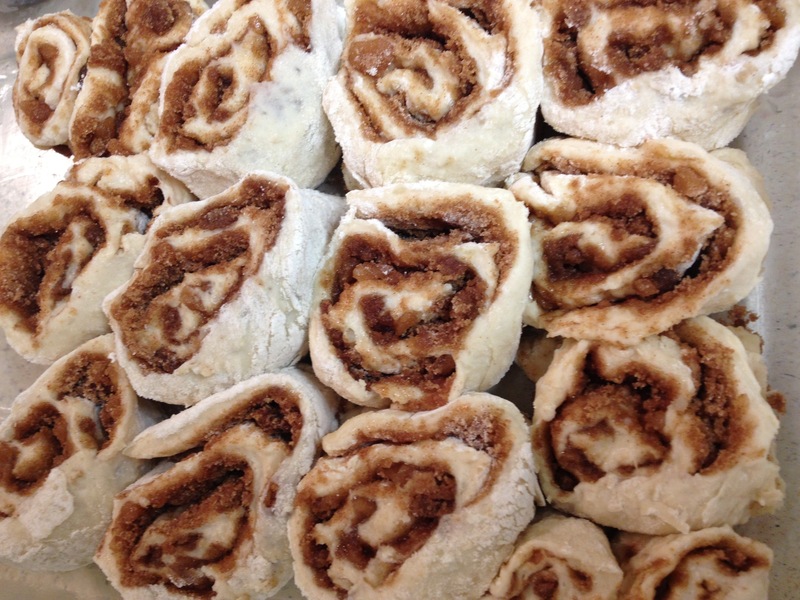 Sprinkle the rectangle of dough with the cinnamon mixture. Drizzle the remaining 4 Tbsp melted butter over the cinnamon-sugar filling. 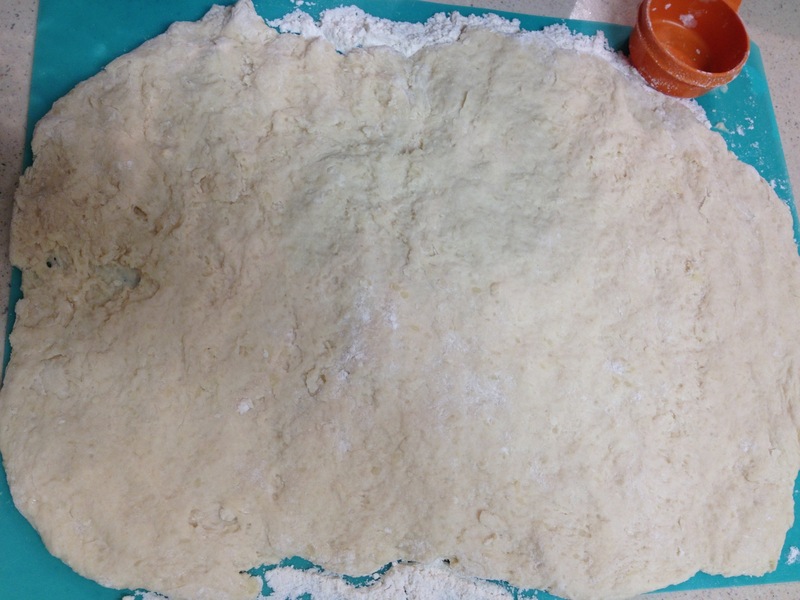 Pat the filling into the dough, then roll the dough lengthwise, making sure the roll is tight. Pinch the sides of the dough to seal the roll together. Slice the roll into 8-10 pieces. Place in a buttered 8 inch cake pan. Gently press the tops of the rolls to seal them. Bake at 425F for 20-25 minutes, or until the tops are golden brown. 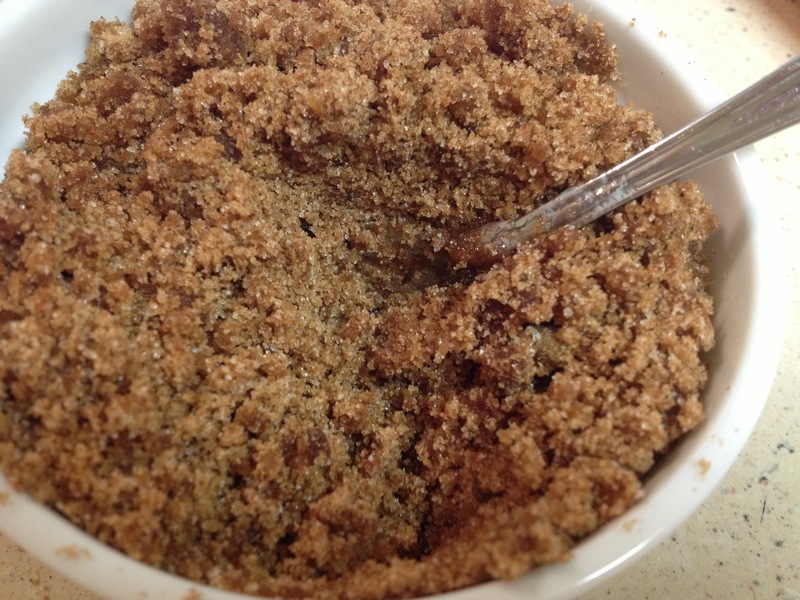 Heat the granulated sugar and 4 Tbsp butter together in a small saucepan, like you did earlier. This time, when the mixture turns golden, remove from get and stir in 1/2 tsp vanilla. Once the mixture is smooth again, add the cream. Set aside. Combine the remaining butter and powdered sugar in the bowl of a stand mixture fitted with the paddle attachment. Beat until light and fluffy. Add milk. Beat in vanilla, salt and caramel. Continue beating until smooth and creamy. 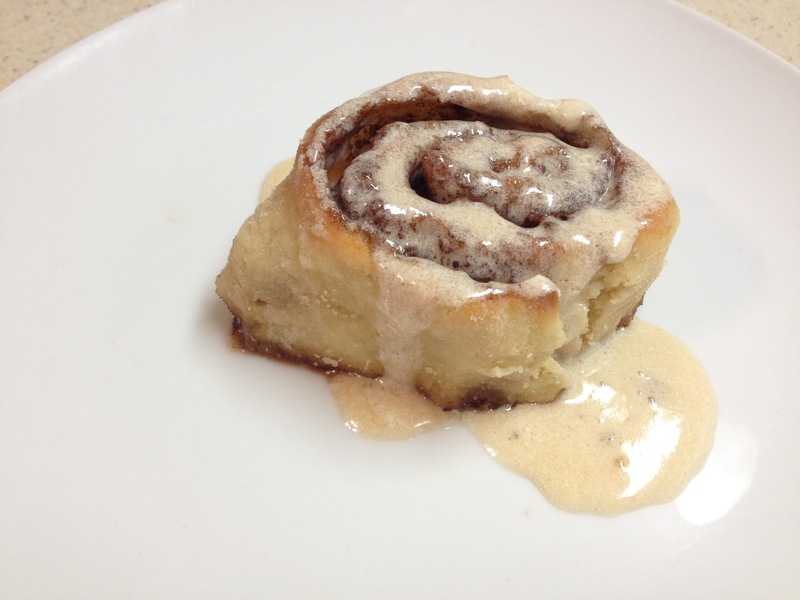 Serve caramel frosting over mostly cooled sticky buns. Seconds are allowed.